Saddleback's Upper Nightmare Glade was DEEP this weekend! Just a quick wrap-up of our fantastic March 23-24, 2014 weekend at both Saddleback and Sugarloaf. Both mountains and skiing really well right now. Deep mid-winter like conditions. We hit Saddleback on Saturday and skied in some really awesome conditions. We picked up a couple of inches of fresh during the day which made the already soft conditions even softer. The wind picked up along with the snow so the lifts shut down at 2pm. But we were OK as we got some really good turns in. 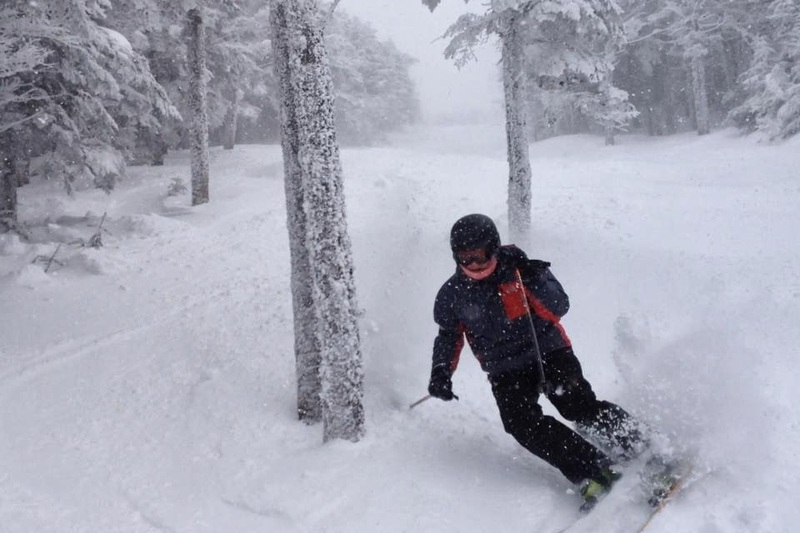 Governor and the Upper Nightmare Glade skied especially well. We were able to stay with some friends at Sugarloaf and had a great day on Sunday. This was the first time in a long while where we hit Sugarloaf on a really good day. Most everything we wanted to ski was open and skied really well. I took my first venture into Bracket. Overall came away very impressed. I only saw a small fraction of Bracket in the Cant Dog II area but it was a lot of fun. Kudo's to Sugarloaf for opening up this impressive terrain. Back to the real world but it was a great weekend at two of the finest mountains around with family, friends and a pile of snow! 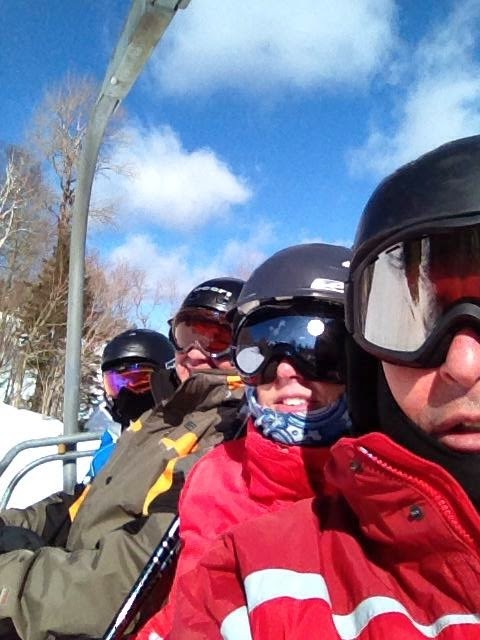 Great Skiing with Friends at Sugarloaf!